Join Peter Hillary on a travel adventure! Peter specialises in leading commercial expeditions to the Himalayas and Antarctica, which are available to people with varying degrees of fitness and aspirations. These expeditions include Himalayan treks, Antarctic cruises, Mt Kilimanjaro climbs, Tibetan traverses in 4WDs and special adventure objectives. Every Antarctic summer Peter participates on voyages south to the ice. Cross the Drake Passage to the Antarctic Peninsula with Peter Hillary on board the state-of-the-art expedition ship, National Geographic Explorer. Encounter the spectacular Antarctic Peninsula and the surrounding islands and waterways. Glide around enormous tabular icebergs by Zodiac, walk along beaches covered with thousands of penguins, and kayak amid abundant marine life. Antarctica has to be seen to be believed. Just about anyone can do this journey. 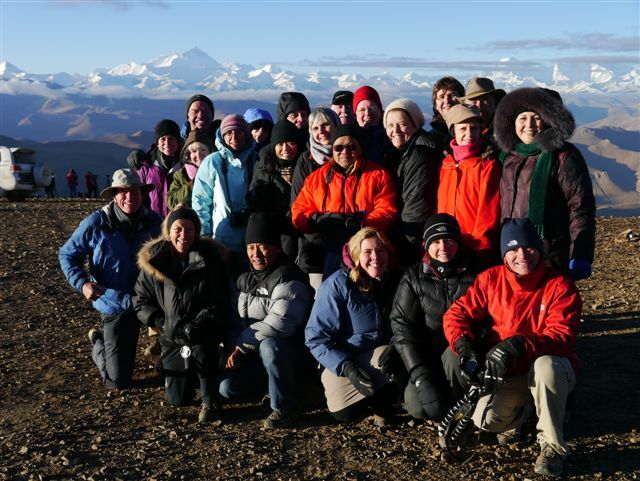 We organise private Himalayan trekking adventures where we visit homes, schools, hospitals and friends that have been connected with the Hillary family for decades. We visit teacher training programmes in the Solu Khumbu region and adventure up into some of the magnificent high valleys of the Everest region. We will also climb up on to a ridge above Namche to see memorial cairns for Ed Hillary and his wife and daughter and from where we can gaze out to Mt Everest. For private mountaineering adventures with Peter Hillary contact us about what you would like to experience. The Himalayas are Peter Hillary’s passion. The Challenge: To climb Africa's highest mountain, Mount Kilimanjaro, at 5896 metres / 19,340 feet. We will explore its jungles, ridges and expansive flanks as we acclimatise to the altitude for our summit climb. Kilimanjaro is one of the 'seven summits,' the highest mountain on each of the seven continents. We will be using the Lemosho Route which crosses the western and southern aspects of the mountain. The first few days will be off the main climbing trail. We start the Lemosho from the west in magnificent ancient forest and jungle through which we ascend to reach the heath zone and the Shira Plateau. We cross the plateau to Moir Hut and traverse around the mountain beneath the spectacular Western Breach to descend into the Barranco Valley with its strange alpine flora of Giant Forest Groundsel and giant Lobelia. From here we ascend the Barranco Wall and traverse the south side of the mountain to our summit camp at Barafu at 4,600 metres/15,000 feet from where we climb to the summit at Uhuru Peak 5,896 metres/19,340 feet. Descent will be down the Mweka route off the southeast side of the Kibo crater. Lhasa to Kathmandu! The best road journey in the world. Travel in private SUV vehicles from the fabled Tibetan city of Lhasa across the Tibetan plateau to Everest Basecamp North and then down through a great cleft in the Himalayan ranges to the exotic city of Kathmandu. This really is the best road journey in the world with stunning landscapes, rich culture, wonderful people and the greatest mountain range on earth. This is an incredible journey using four wheel drive vehicles and just about anybody can do this journey. Go to the NGE website detail.